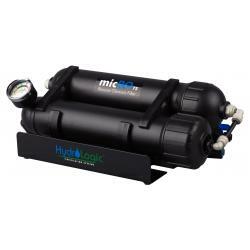 Micro sized, portable reverse osmosis system. 75 gallons per day. 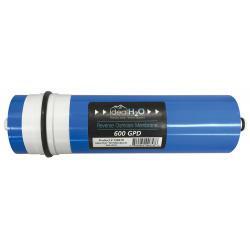 Includes KDF85/carbon pre-filter and 75 GPD membrane. Also comes with garden hose connector, 1/4 inch shut off valve, and pressure gauge. 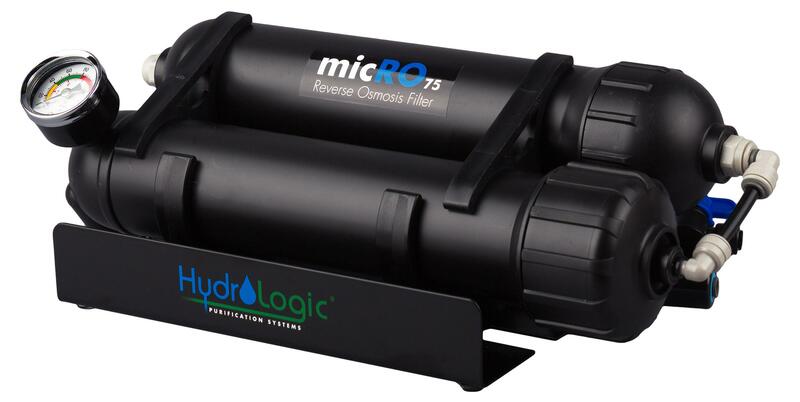 Features an external flow restrictor for 2:1 drain to product water ratio for maximum efficiency. 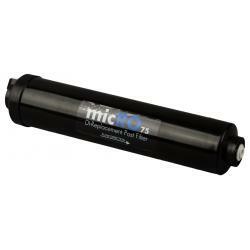 Replaceable carbon pre-filter. 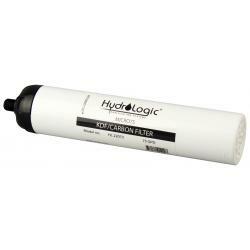 KDF85 media added into carbon pre-filter for chloramines and heavy metal reduction. Metal bracket - filter is stable on a flat surface or can be wall mounted. Easy to monitor with integrated pressure gauge with safe zones. Automatic shut off valve so drain line shuts down when product line is shut down. 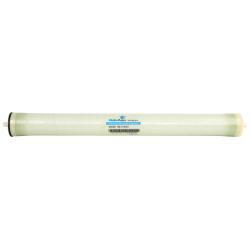 USA made - high rejection RO membrane built to American standards.